Before Greyton was established in 1854, the verdant plains and forested ravines of the area were home to the Hassequas khoikhoi tribe who had their kraals near the Gobos river, which they named after their ancestral chief. Their many thousand heads of cattle and sheep were the reason why Ensign Schriver of the Castle of Good Hope was sent here in the late 1600s to barter with their head man, Captain Stoffel Koekson. So rich did Koekson become from this bartering that he eventually took his people to live in the Boschmanskloof, where he built them proper mud-brick houses, the foundations of which still lie under the old houses of Boschmanskloof today. 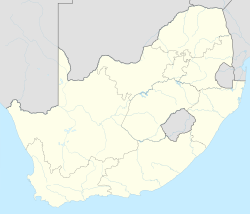 In 1793, Koekson's tribal lands were given to the young Dutchman Marthinus Theunissen, who built a homestead (no longer standing) on his farm Weltevreden. He did not stay long because he could not resolve the constant disputes with his neighbours at Boschmanskloof and Genadendal over boundaries and straying cattle. Subsequent owners of Weltevreden included two wealthy brothers of the famous Cloete family from Constantia who bred horses. Marthinus Theunissen himself became a very wealthy man in Stellenbosch, owning Vergelegen at one time. In 1846 a wealthy Englishman, Herbert Vigne, bought Weltevreden. He established a freehold agricultural village on Weltevreden in 1854, keeping two small portions for himself and bequeathing the remainder of the farm as commonage. He named the village "Greyton", after Sir George Grey, the then Governor of the Cape. The layout of the village was designed and set out by J G Rietz, a senior surveyor at the time, and remains essentially the same with only a few changes and additions through the years. The various sized properties were made available to buyers of any race, nationality or religion at affordable prices. This was the only town in the Cape in which such land with full title deeds, water rights and grazing rights was for sale to anyone. 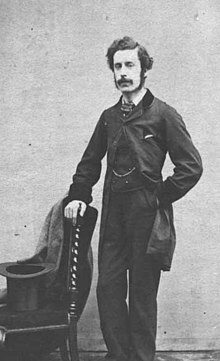 In the 1860s Herbert married a young girl of British stock named Elizabeth Belshaw – 27 years his junior. They settled on their farm, De Bos, in the village (subsequently subdivided by his heirs after his death in 1895). Within fifty years, a dedicated community of people had built houses, established businesses and smallholdings, opened a school and built two churches in the town. Here they lived together in peace, harmony and religious tolerance. Many of town’s original buildings and features have survived, including the original leiwater(irrigation) system of street furrows, the town kraal and dipping tank, a blacksmith's house and forge, the school's boarding house and the extensive public commonage crisscrossed by walking, hiking and cycling paths that surround the town. There are also two old churches, some of the earliest cottages built between 1854 and 1860 in Vigne Lane and at the end of Vlei Street, as well as an old shepherd's cottage built prior to 1840, which is now incorporated into "The Old Potter's Inn" building on Greyton’s Main Road. 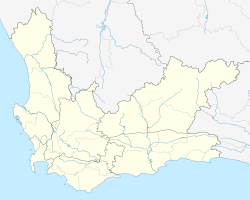 The entrance to the town was not originally where it is today for the road came directly from Genadendal over the hill, and past Boschmanskloof, entering the town at the intersection of Main Road and Ds Botha Street. There the De Villiers family built a trading store in 1860, as well as several communion rooms used by Dutch Reformed Church members who came to town for communion once a month. The town's first post office was opened in the building where today, The Post House pub trades from. Following Herbert Vigne’s death in 1895, Greyton, like many other Overberg towns, lived through harsh economic times that characterized the turn of the century. Many people left to make their fortunes elsewhere. Sending crops to Cape Town for sale was no longer viable. There were few jobs, families were large and people became impoverished. But the long narrow plots that characterized the layout of the town continued to provide a food source for families, as well as a place to keep livestock for domestic use. The Vigne descendants subdivided more land at the present entrance to the town, on which several large Victorian houses were built and still stand today. Opposite them, a very old flat-roofed building that was used for the first Anglican church services, was made into a Moravian school. It is now the town library. Greyton owes much of its charm to the fact that its Cape Vernacular architectural heritage has remained largely intact. It is an extremely popular weekend and holiday destination for visitors who enjoy its combination of old-world charm and modern conveniences. ^ a b c d "Main Place Greyton". Census 2011. ^ "Greyton Village History". Xplorio. 20 October 2015. Retrieved 20 October 2015. ^ , Greyton Tourism Website. Retrieved on 13 January 2013.